Currently there are 13 different videos similar to this one, all brilliant. But now, the audio has been stripped and remastered, and is available via Bandcamp for purchase using the "pay what you want" model. You can get it for as little as free, or as much as you have in the bank. 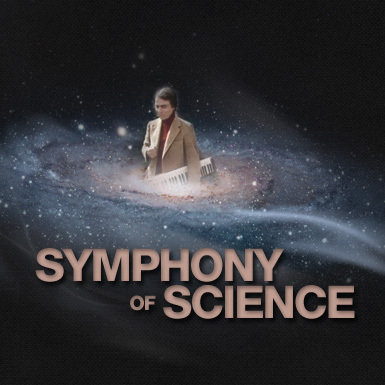 To purchase this visit Symphony of Science on Bandcamp and start rocking out to science.